Together Modena’s magnificent 12th century cathedral and soaring bell tower serve as a supreme example of early Romanesque art comprised of exceptional architectural and sculptural quality. In addition to the cathedral and spectacular civic tower, also known as “Ghirlandina”, the property includes the Piazza Grande surrounded by the City Hall, and the Archishopric and a part of the canonical buildings and the sacristry to the north. The entire property is relatively small, covering 1.2 ha surrounded by a buffer zone of 1.1 ha. Attributed to the architect Lanfranco, the cathedral was begun in 1099, replacing an early Christian basilica, and is the home of the mortal remains of Saint Geminiano, the patron saint of Modena (4th century). The building is covered with ancient roman stones, linking it to the splendour of the temples of antiquity. Wiligelmo’s rich sculptures are found on both external walls and the interior capitals. The bell tower, started in the beginning of the 12th century, is of similar style and materials. Originally a five-storey structure, it was completed in 1319 with an octagonal section and additional decoration. The Piazza Grande, located along the historic Via Emilia in the medieval centre of town, was founded in the second half of the 12th century. The cathedral and the “Ghirlandina” tower appear as a consistent complex in terms of material and structural criteria, and the construction of the two buildings kept the city of Modena busy for over two centuries, from 1099 to 1319. The rebuilding of Modena cathedral in 1099 is a key landmark in medieval history for many reasons, of which two are of most importance. First, the building is a characteristic and documented example of the reuse of ancient remains, which was common practice in the Middle Ages before the quarries were reopened in the 12th and particularly the 13th centuries. Secondly, at the turn of the 11th and 12th centuries, this was one of the first buildings, and certainly the most important one, where collaboration between an architect (Lanfranco) and a sculptor (Wiligelmo) has been documented by explicit inscriptions, found in the building. It also marked the shift from a conception of artistic production emphasizing the quality of the buildings as a masterpiece of the munificence of its founder, to a more modern concept in which the role of the creator is recognised. Later, the documented presence of the Campionesi masters in Modena between the last decades of the 12th and the early 13th centuries provides a great deal of information about how the works were managed in a perfectly organised medieval construction site. The art of the cathedral and the tower developed considerably under the influence of the Campionesi, always taking into account progress and themes of the post-Wiligelmo Emilian Romanesque School (especially the cathedrals at Ferrara and Piacenza) and innovations of Benedetto Antelami, and shows interesting resemblances with contemporary sculpture of Provence, particularly the superb facades of Saint Gilles and Arles. Criterion (i): The joint creation of Lanfranco and Wiligelmo is a masterpiece of human creative genius in which a new dialectical relation between architecture and sculpture was created in Romanesque art. Criterion (ii): Between the 12th and 13th centuries, the monumental complex represented one of the principal forming grounds for a new figurative language, destined greatly to influence the development of the Romanesque in the Po valley. Wiligelmo’s great innovations were to have a wide-reaching influence over late Italian medieval sculpture. At the European level, the sculpture of the Cathedral of Modena represents a privileged observatory for the understanding of the cultural context accompanying the revival of monumental stone sculpture. Only very few other monumental complexes, such as Toulouse and Moissac, can claim to be so important in this respect. Criterion (iii): The Modena complex bears exceptional witness to the cultural traditions of the 12th century in northern Italy’s urban society where its organization, religious character, beliefs, and values are all reflected in the history of the buildings. Criterion (iv): The monumental complex constituted by the cathedral, the tower, and the square is one of the best examples of an architectural complex where religious and civic values are combined in a medieval Christian town; when urban development was closely connected with the values of civic life, especially in the relationships it reveals between economy, religion and the political-social life of the city. Over time, Modena’s monumental complex has retained its historical, social and artistic features that define its Outstanding Universal Value. The works carried out over the centuries on the World Heritage monumental complex were always aimed at keeping the buildings efficient and useful while basically preserving the spatial proportions and volumes, prolonging its life without altering its physiognomy and functions. The complex has survived relatively intact with the cathedral, tower and buildings with a traditional relationship to the church around the Piazza Grande. Minor changes include the replacement of eight original metopes from the roof with copies and the placement of the originals in the museum. Threats to the property are primarily related to earthquake risk due to a fault line extending east-west to the south of the Po River. Following the 1996 earthquake, a restoration intervention was carried out on the complex. As a result, the recent seismic event that occurred the region of Emilia (May 2012) did not cause any significant damage to the inscribed buildings, only minor cracks to the cathedral. Additional threats have been identified relating to environmental pollution and the impact of a trolleybus route in front of the cathedral and unsuitable cultural and commercial activities held in Piazza Grande. The nominated monumental complex is undeniably authentic as far as its design, form, materials, and function are concerned. Although the cathedral has undergone a number of renovations over time, it retains its original use and the monumental complex is undeniably authentic as far as its design and form. Its preservation history also confirms its authenticity. From the point of view of restoration and preservation, Modena cathedral represents an exemplary case, showing as it does a century-long history of interventions and initiatives, warranting a chapter of importance in the history of Italian heritage conservation. Damage caused by Second World War bombing resulted in “conservative restoration” immediately the post-war period. While the crypt restoration in the 1950s involved the removal of later Renaissance elements in favour of restoring the original Romanesque style, this approach was discontinued in future projects. Restoration to address issues of deterioration of stone walls in the late 1970s and early 1980s were based on extensive research and investigation. The management system for Modena’s Cathedral, Torre Civica and Piazza Grande includes legislation and policies operating at national, regional and local levels and involves the Episcopal Curia of the Diocese of Modena (the ecclesiastical body that manages the church’s local properties). The City of Modena and the peripheral offices of the Ministry for Cultural Activities and Heritage (Superintendences) are responsible for the protection and preservation of the above-mentioned property. The property is located in Modena’s city centre that, according to the current urban planning initiative held at the municipal level, is subject to general protection, preservation and use restrictions. 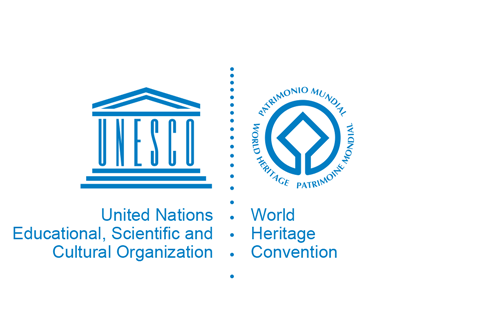 The urban planning initiative includes the perimeter of the World Heritage property (heritage property and buffer zone), while the accompanying regulatory document acknowledges the Management Plan as the implementation plan for the site’s preservation and management. According to Modena’s urban planning instrument, any work permitted on the monumental complex must be rigorously supervised and selected for the purpose of ensuring the preservation of its Outstanding Universal Value. Moreover, the whole city centre is subject to pre-emptive archaeological preservation restrictions. In 2005, a steering committee was established involving the property’s owners – Basilica Metropolitana di Modena (connected with Episcopal Curia of the Diocese of Modena) and the City of Modena – together with the supervisory bodies, and the Province of Modena. The committee was responsible to draft the Management Plan and follow up with relevant implementation and updates.